Finished in silver, the NN-SF460M from Panasonic offers a large 27 litre capacity, together with a Flatbed Cavity, with the absence of a traditional turntable meaning that the overall microwave unit is lighter, and also leaving more available room for your food. The interior is finished in an acrylic grey coloured material, which looks smart and is easy to clean. In total there are 18 different auto programs, which should leave an option for the majority of users. As you'd expect from a Panasonic appliance, the buttons are clearly labelled and make controlling the various functions both quick and easy. Also fitted is the standard child lock feature to help avoid accidents due to inquisitive little hands. 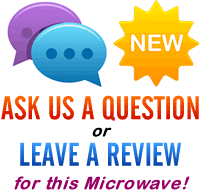 The Chaos Defrost used random waves to both reduce defrosting times, as well as help avoid uneven coverage, thus making food defrosting even, quick and effective. 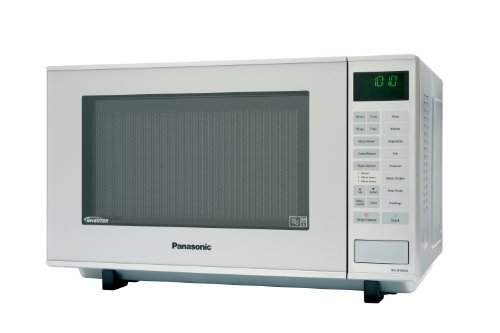 Panasonic have produced a fairly plain looking silver microwave, but one that offers decent performance and a large capacity - admittedly it is quite expensive, but should be pretty reliable based on Panasonic's reputation.